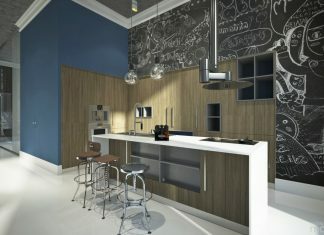 Roohome.com – Do you want to make your studio apartment design looks more beautiful and luxurious? 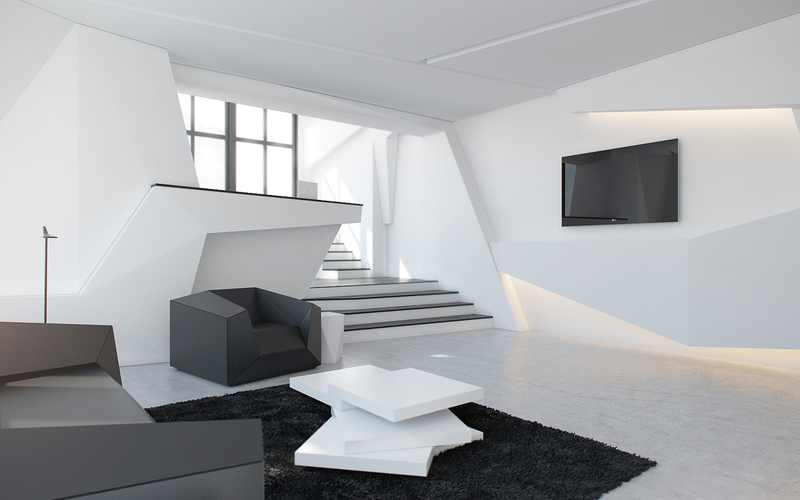 The futuristic interior style that applying black and white color scheme below will show you the elegant concept that produces the best space for a dwelling. The use of modern furniture and feature support its space creatively. You can see the clear line with the light and fresh look. Black and white color identically with the luxury impression. It also called the prestigious color. The elegant concept below explores the beauty of its color. The natural light also holds the important part in beautifying its space. You can see the room that becomes shiny and more attractive. 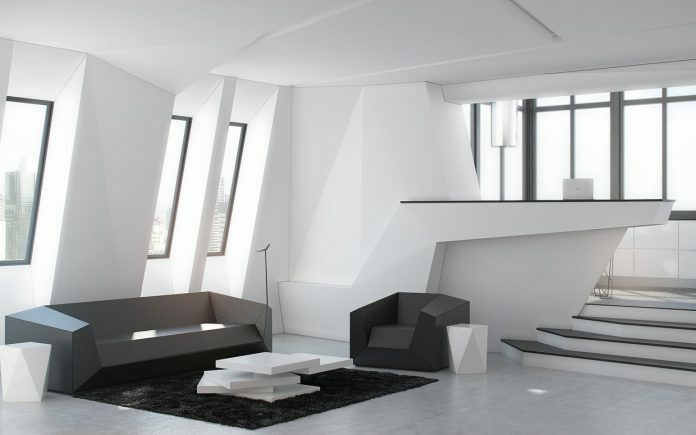 Besides that, the use of unique furniture and smart layout successfully make it looks more futuristic. 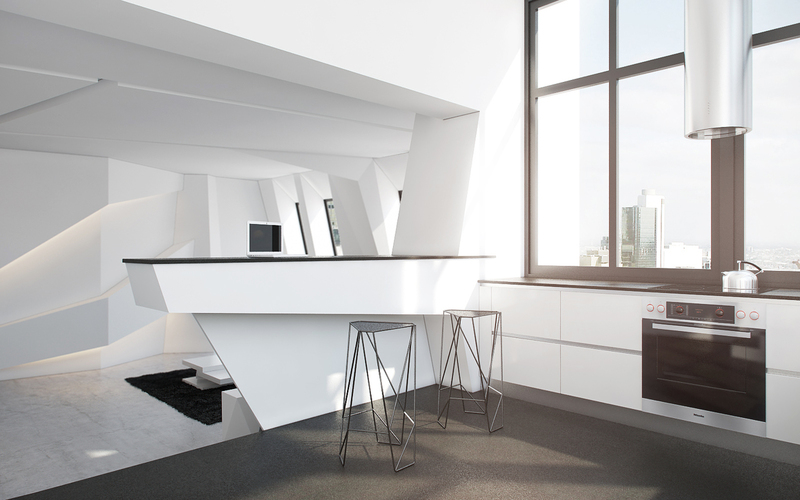 A kitchen in this apartment still uses the minimalist and elegant concept. It is applying some windows that make its space look brighter. 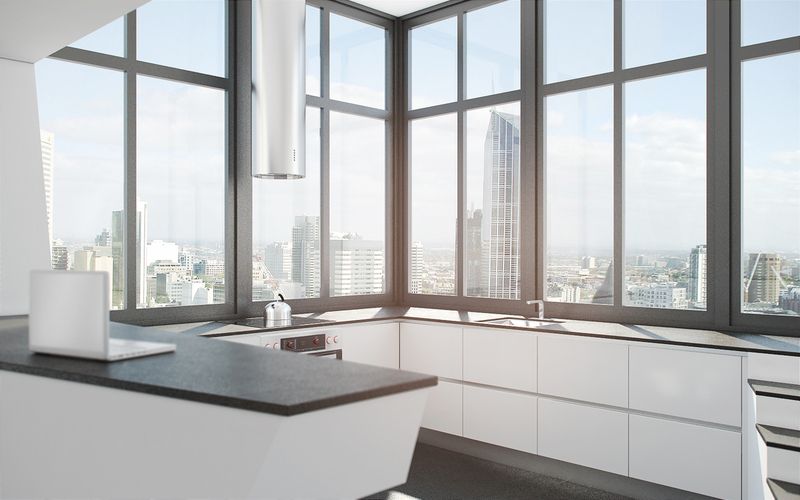 The modern kitchen set with black and white color scheme also fill it properly. It seems like the other modern kitchen. But, the best layout and lighting set make it different and get more beauty value. Actually, this apartment applying the cubical types of the feature and furniture design. We can see it from the first room till the last. 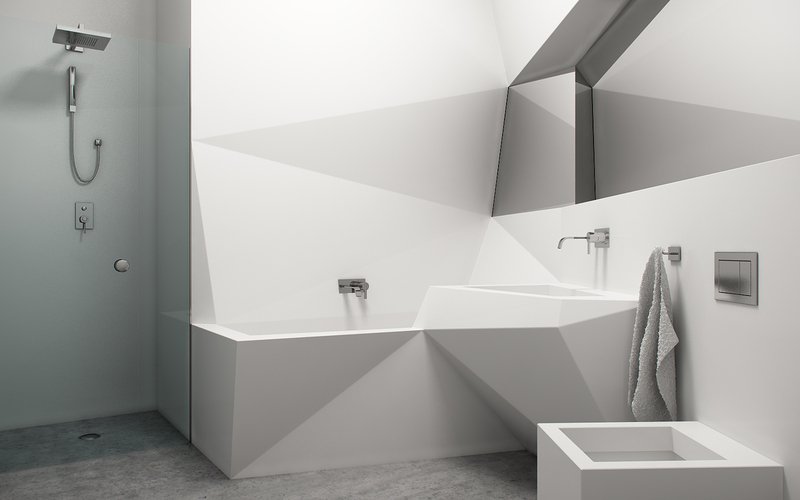 Include of the bathroom, it also uses that concept. The white color still being the favorite choice to beautify the room. The last room in this studio apartment design is a bedroom. The bedroom still applying the cubical concept with black and white color scheme. It also plays with the lighting feature. The use of unique bed place will make you relax during your bedtime. It also makes the stylish look. 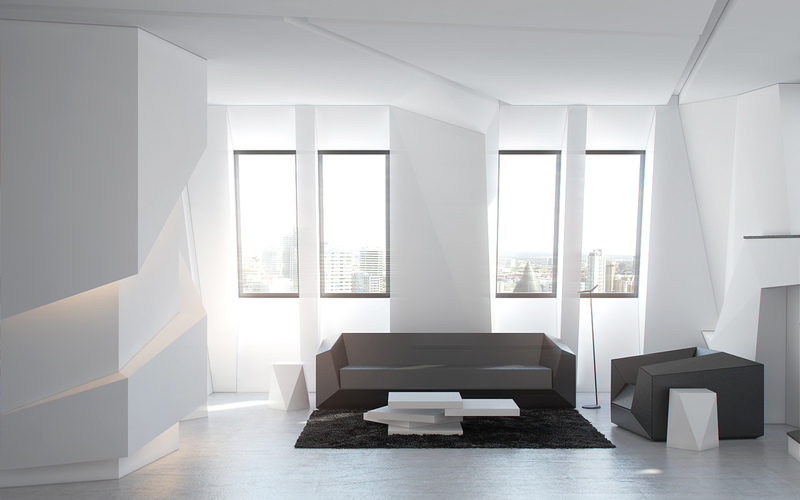 Hopefully, this studio apartment design will help you in creating the comfortable space that elegant and comfortable.